It was eight years ago that we embarked on homeschooling. At the time the mere notion of homeschooling was overwhelming and intimidating. We felt the call and conviction to homeschool no matter how scary it might be. With support from other homeschooling families we took the leap and we are glad that we did. Now it’s our turn to lend the support to new homeschoolers and even veteran homeschoolers that are simply looking to freshen up their curricula. Throughout the school year, but particularly during the summer months we are often asked which curricula we choose. Each year I have said I would post a list on here of what we choose for each grade level and subject, but each year I find that time has gotten away from me and I have not posted. I promised myself that this year would be different! School has already begun in our household for the 2015-2016 school year as it has for many others. I thought that even though I’m late to the game on this post that perhaps it might be helpful to someone out there; if not this year than for the next school year. Before you read the list please note that each student and parent is different. Simply because our selections have worked or not worked for our family does not mean that you will have the same results. This list is only meant to be a jumping off point for you, it is not meant to become your list, unless after you look at the curricula you find that it will work for your family as well. Bible: Bible Truths, Women of the Word Youth Study, morning scripture and verse share, Answers for Kids Bible Curriculum. Art/Music: Simply Music Online, Drawing with Children, Mike’s Inspiration Station (DVD’s), Various other curricula and pins on Pinterest. Here you will find a list of most of the curricula we have used or tried in the last eight years and a brief description as to how we used it and why we stopped or continued with it. All links are non-affiliated. No matter which curricula or study we are working on we start everyday with prayer and bible study from one or more of the options below. We also do our best to end each night with family worship and prayer. Bible Truths – BJU Press – 1st-6th Grade – Sound theology that teaches children how to find their way around their bible while also teaching them Scripture. 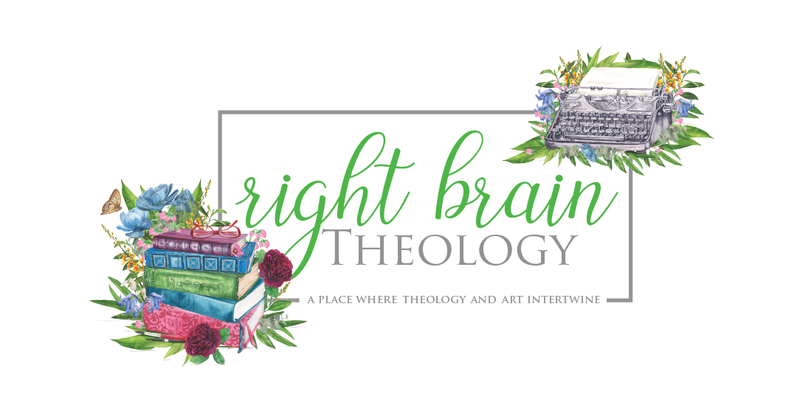 Women of the Word Youth Study – Christine Carter – 7th Grade – This is a study that I wrote initially for our daughter to help her have a richer and deeper bible study time, but I decided to share it on here as a free download. Answers for Kids Bible Curriculum – Answers in Genesis – K-8th Grade – We currently use this study for our family worship time in the evenings. Our kids really enjoy the interactive dvd, the songs, and the in-depth but easy to understand lessons. Proverbs Study Guide – The Book of Proverbs, God’s Book of Wisdom (Vol. 1) (Family Bible Study Series, Volumes 1-3) – Kevin Swanson – ALL AGES! -These short but meaty devotionals are great for morning study or evening study. We used them for both purposes when we first started our homeschooling journey. I appreciated them because they are theologically reliable, they are scripted with a practical and relevant story/lesson which are followed up with thought provoking questions. Handwriting Without Tears – Pre-Kindergarten-Kindergarten (print) 3-4th grade (cursive) – We did not need this for our daughter as she caught on quickly to writing letters correctly and neatly from free printables we found online. However one of our boys needed extra help and struggled more with neat handwriting so we opted for this curriculum and it was very helpful. This is also a good curriculum to use for teaching cursive. Bible Verse – All Ages – Once our children learn to write words we select a weekly verse for them to write based on their writing ability. Our youngest for example would have a short proverb where our older daughter would have a longer verse. If our child is working on something in character we will have them write an applicable verse. If their handwriting is not neat they are to either fix their mistakes or they need to write the verse again. We do not expect perfection but we do expect excellence. We have our children write a weekly verse each day either in print or cursive. Typing Tutor – Grades 4-5 – Typing Tutor is downloadable software with multiple levels. There are many good ones available. We chose this one because Amazon had it for free for a short time. We’ve used it with one child thus far and the results have been standard. We do now have our child print rough drafts but type the final report or story to help keep handwriting and typing skills sharp. Spelling Workout– Modern Curriculum Press – 1st grade and up – This is a simple workbook style curriculum that teaches children how to spell, recognize grammatical errors in writing and practice writing sentences. We assign one page per day which takes about 15 minutes for each child to complete. Modern Curriculum Press (MCP) – We really like this workbook for supplemental math help or as a stand-alone math curriculum for lower grades not quite ready for Teaching Textbooks. Teaching Textbooks – At third grade our children begin working in Teaching Textbooks. We are not math people and this curriculum has been such a blessing. It is thorough but not overwhelming to student and teacher. This software teaches the math lesson to your child through audio and visual means while also offering automatic grading of assignments and quizzes. There is a workbook that you can get, which we do, that has all of the lessons printed. We find this helpful so the kids have a place to work the problems in a neat and organized place. Right Start Math – We start using Right Start Math for kindergarten and first grade (we use MCP for second grade). This math program helps to make math visual and bring it to life which in turn makes math fun and easier to grasp the concepts not simply memory work. I really appreciate that it teaches the why along with memory work. We have felt this has given our kids a better mathematical foundation for the later years. We do stop using this math by second grade for a couple of reasons; we like to teach our children to be independent learners and this is a very teacher intensive program, we also want our children to not rely solely on visual means to reach the math solutions. We do however continue to use the games throughout their elementary grades as they are a lot of fun and a great reinforcement of math facts! God’s Design – Answers in Genesis (AiG) – 1st-8th grade – We have cycled through the entire series and are now working through it again. We will not switch curriculum as we absolutely, hands down, love this for science. A biblical lens is used throughout the books but the curriculum doesn’t shy away from non-biblical view but rather it teaches the fallacies in the theories vs. biblical fact. Our kids enjoy the projects which use mostly household items, the workbook questions are challenging but not too difficult. We all enjoy that each age level is working on the same science curriculum and lesson but each lesson is tailored to different learning levels. You can purchase one set at a time. You do not need to purchase the entire bundle at once which is where the link will take you. Christian Kids Explore – This is solid curriculum but we found it to be to intensive for what we were looking for and did not allow for the kids to have independent study with it. They did not enjoy the format or the black and white pages. They did however love the coloring pages. The information in this book is solid and I know of many families who love this curriculum. It just wasn’t a good fit for our family. History Revealed – Answers in Genesis – This curriculum is for older students but it does come with a workbook for the younger ones as well. The lessons are thorough and tailored not only to different learning levels but also different learning styles. The curriculum is solid and teaches from a biblical worldview. You can purchase one set at a time. You do not need to purchase the entire bundle at once which is where the link will take you. America from the Beginning – Answers in Genesis – This is a great American History book. Our kids enjoyed it, learned a great deal about our country from it and they are looking forward to using this curriculum again in a few years. With true AiG style this curriculum is tailored for different learning levels though not for early elementary. Mystery of History – When we first stared homeschooling this is the history that we used. We enjoyed it in the early years and read it to our kids like a story. We did not do the timeline but we did have them answer the questions. In the end though this curriculum did not offer the independent learning ability that we look for in curriculum. We appreciate the biblical worldview that is thoroughly taught. Institute for Excellence in Writing (IEW) – 6th – 12th grade – I can’t say we will use this all the way through 12th grade as we are not there yet but it is a possibility. We start with Level A and then move forward from there. We appreciate that this is not a curriculum that requires completion by the end of the school year but allows the student to work at their best learning pace. We have seen writing ability jump leaps and bounds with this curriculum and couldn’t be more pleased by it. 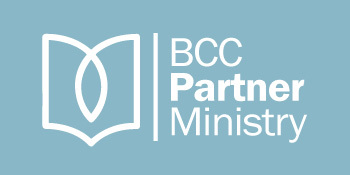 English – BJU Press – 2nd-5th grade – We simply use the student workbook and do not complete any of the extras in the teacher manual. Our kids have been given an excellent foundation that prepares them well for Institute for Excellence in Writing. This curriculum provides solid teaching in grammar and writing structure but is not overwhelming. We do not purchase the kit, just the workbook and we purchased the teacher manuals used from Homeschool Classifieds. First Language Lessons – Peacehill Press – 1st Grade – We use various parts of the First Language Lessons book levels 1&2 (2003 Edition) for first grade. Each one of our kids took so much away from this curriculum and it was a great foundation for what was to come for them in english. Because we have established an independent learning environment we move our kids to BJU Press English for 2nd-5th grades. There is an updated version of First Language Lessons that I believe to be well worth looking into. Ordinary Parents Guide to Teaching Reading – Peacehill Press – PreK-child is able to read – We really found this book beneficial and helpful for our first two kids. Each child learns to read differently and this book was exactly what two of our kids needed. They were reading, and reading very well in no time. Explode the Code Online – Our youngest child did not do well with our previous method of teaching reading which send me on a hunt for new curriculum to help teach him to read. We tired the Explode the Code workbooks but he really needed the audio. We then stumbled upon Explode the Code online and were so happy that this is what has really helped our son to learn to read very well. Mike’s Inspiration Station DVD’s Volumes 1 & 2 – These are dvd’s with Mike who teaches various art mediums while also teaching scripture and talking about God in art and our world. Drawing with Children – We select various lessons and enjoy the perspectives of art that is taught. I appreciate that the author works to draw children out of their fear of art and exploring new mediums. Drawing with Older Children – This book is written by the author that wrote Drawing with Children. This book moves to more advanced techniques. Simply Music – This curriculum provides online piano lessons. It is a family license. My children have enjoyed using this curriculum. Where do we purchase our curriculum? Pinterest is a great option for art and science projects. Take a peek at my Pinterest boards! If you know of a great place to purchase curriculum please mention it in the comments!